The critics of the Philippines ate another bite of hat the other day when the Fitch Rating Agency upgraded Philippine debt to investment grade. Discussion threads on the upgrade were again the habitat of the 100 percenters, broken down about 80/20, with 80% offering commendations and full credit to President Aquino, and 20% claiming all credit should flow to Gloria Arroyo. Largely missing were the voices of reason that say, sure, Ms. Arroyo can claim some credit for things like VAT, but the rating would not be raised if it weren’t for Mr. Aquino’s good governance agenda and fiscal management. Furthermore, some aspects, like steady OFW inflows, belong to no one but OFW’s. Like, where’s the ANALYSIS instead of the need to win arguments? Fitch places the Philippines at the bottom of the investment-grade category of ratings. There is a long way to go to reach top. Key point: work is not done. Cash flows compare well with other countries thanks to strong OFW inflows. Imports are expected to increase with net flows remaining healthy through 2014. Key point: The ratings look SIDEWAYS at other countries and AHEAD at what might happen; the Philippines compares favorably, in the main, with other peer nations, and the future looks stable. The economy is strongly driven by domestic demand. Key point: growth is not driven by manufacturing or exports or government infrastructure spending. Improvements in fiscal management have made debt resilient to shocks. This is a combination of good GDP growth with good debt management. Key point: Fitch explicitly attributes the START of this to President Arroyo. Obviously, President Aquino has built on the foundation. The macro-economic condition is sound. Inflation is favorable to peer nations. Key point: BSP (the central bank) is doing good work. Governance is still weak compared to peers. Key point: President Aquino is explicitly credited with improvements, but the Philippines is still seen as having governance problems. Family income and living conditions in the Philippines are below peers. Key point: Way below. Poverty is an economic risk. Philippine tax revenues are weak compared to peers. Key point: It is hard to extract blood from a turnip. Or taxes from a bazillion poor people. The Philippines can realize further ratings improvements by continuing to grow GDP while broadening the tax base. Ratings could go back down if governance deteriorates or financial integrity slips. Key point: Pause to appreciate the achievement. Then get back to work. Aquino’s “collect more earned taxes” initiative is sound. The ratings assume: (a) good governance continues, (b) economic growth remains a little better than 5% per year, and (c ) there are no unexpected shocks. Key point: Pray. The Philippines is looking good. The current administration should be rightfully proud of this achievement. So should OFW’s and those of us supporting the economy by spending our income as soon as it comes in. Like, about EVERYONE I know. Those who offer up sniping criticisms to take away pride in the occasion are small of mind and heart. This is a very notable and worthy achievement. By the Philippines. Period. Now, y’all kindly get out there and keep earning and spending. Obey the laws, pay your taxes, be kind to your neighbor, support your nation. 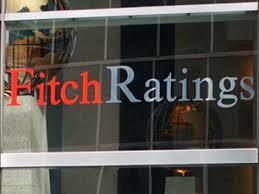 Fitch Ratings upgraded the Philippines’ Long-Term Foreign-Currency Issuer Default Rating (IDR) to ‘BBB-‘ from ‘BB+’. The Long-Term Local-Currency IDR has been upgraded to ‘BBB’ from ‘BBB-‘. The Outlooks on both ratings are Stable. The Philippines’ sovereign external balance sheet is considered strong relative to ‘A’ range peers, let alone ‘BB’ and ‘BBB’ category medians. A persistent current account surplus (CAS), underpinned by remittance inflows, has led to the emergence of a net external creditor position worth 12% of GDP by end-2012, up from 6% at end-2010. Remittance inflows were worth 8% of GDP in 2012 and proved resilient even through the shock of the global financial crisis. Fitch expects a rising import bill stemming from strong domestic demand to lead to a narrower CAS and to stabilise the net external creditor position at a strong level through to 2014. The Philippine economy has been resilient, expanding 6.6% in 2012 amid a weak global economic backdrop. Strong domestic demand drove this outturn. Fitch expects GDP growth of 5.5% in 2013. The Philippines has experienced stronger and less volatile growth than its ‘BBB’ peers over the past five years. Improvements in fiscal management begun under President Arroyo have made general government debt dynamics more resilient to shocks. Strong economic growth and moderate budget deficits have brought the general government (GG) debt/GDP ratio in line with the ‘BBB’ median. The sovereign has taken advantage of generally favourable funding conditions to lengthen the average maturity of GG debt to 10.7 years by end-2012 from 6.6 years at end-2008. The foreign currency share of GG debt has fallen to 47% from 53% over the same period. Favourable macroeconomic outturns have been supported in Fitch’s view by a strong policy-making framework. Bangko Sentral ng Pilipinas’ (BSP) inflation management track record and proactive use of macro-prudential measures to limit the potential emergence of macroeconomic and financial imbalances is supportive of the credit profile. Inflation has been in line with ‘BBB’ peers on average over the past five years. Governance standards, as measured in international indices such as the World Bank’s framework, remain weaker than ‘BBB’ range norms but are not inconsistent with a ‘BBB-‘ rating as a number of sovereigns in this rating category fare worse than the Philippines. Governance reform has been a centrepiece of the Aquino administration’s policy efforts. Entrenching these reforms by 2016 is a policy priority of the government. The Philippines’ average income is low (USD2,600 versus ‘BBB’ range median of USD10,300 in 2012), although this measure does not account directly for the significant support to living standards from remittance inflows. The country’s level of human development (as measured in the United Nations Development Programme’s index) is less of an outlier against ‘BBB’ range peers. The Philippines had a low fiscal revenue take of 18.3% of GDP in 2012, compared with a ‘BBB’ range median of 32.3%. This limits the fiscal scope to achieve the government’s ambition of raising public investment. The recent introduction of a “sin tax”, against stiff political opposition, will likely lead to some increment in revenues and underlines the administration’s commitment to strengthening the revenue base. Sustained strong GDP growth that narrows income and development differentials with ‘BBB’ range peers. An uplift in the investment rate that enhances growth prospects without the emergence of macroeconomic imbalances. Broadening of the fiscal revenue base, as well as further improvements in the structure of the Philippine sovereign debt stock. A reversal of reform measures and deterioration in governance standards. Sustained fiscal slippage, leading to a higher fiscal debt burden. Deterioration in monetary policy management that allows the economy to overheat. Instability in the banking sector, leading to a crystallisation of contingent liabilities on the sovereign balance sheet. Key Assumptions .The ratings and Outlooks are sensitive to a number of assumptions. The ratings incorporate an assumption that the Philippines is not hit by a severe economic or financial shock sufficient to cause a significant contraction in GDP and trigger stress in the financial system. Fitch assumes that there is no materialisation of severe risks to global financial stability that could impact emerging market economies, such as a breakup of the euro zone or a severe economic crisis in China. Thank you for this, as in all your blogs, very well written and to the point article. I hope and pray that more and more Filipinos read your blogs. You gave credit to where credit is due. I wonder how could your blogs, most especially this one, be part of mainstream media? One thing I really like about your blogs is the positivity that it imparts yet it does not take us away from reality. Yes, there is hope for the Philippines and we as citizens should do our part to improve things and not just blame the problems to others and not contribute any solution.You are more of a patriotic Filipino than most Filipinos. Mabuhay po kayo! No, Ella, I'm not. I'm just older, ha! But thanks for your kind comments. I simply think more about it than most, perhaps, as they accept what they see and I don't understand it fully. So I dig, they don't. I'm convinced Philippine patriotism runs very very deep. 1. Good for you to do this. Extremely good.2. I like the overall assessment: Good, work to be done, pray.2.1. GMA has plus points on item 4. PNoy on items 4, 6 and 9. 2.2 Worrying items are items 3, 6, 7, 8.3. There should be a Santa clause in the Constitution: If the President is good, he should be allowed 2 terms. The determination of good should not be by referendum (which can be manipulated), but perhaps by a combination of several factors such as (a) internal benchmarks in the form of the President’s polling throughout his term and GDP growth; (b) external benchmarks in the form of economic ratings and extraordinary awards, for example the Nobel Prize award. What a fascinating idea, that a president's term could be extended not by vote, but by performance metrics. That is soooo soooo CORPORATE and performance based. It is outrageously rational. The trick would be to define the metrics that would not be subject themselves to political manipulation, but would also adjust over time. That is worth a blog for sure. If you choose not to pursue the idea by blogging it, I will. Ahahahaha. I shall take your word for it and not consult my exes on the matter. Ha, yes, sometimes I can't stop myself and retreat into old analytical habits. Indeed, high fives are fully warranted. I'd even go for tens. Your brief comment raises several thoughts in my mind.1. Borrowing of itself is not bad. It accelerates the delivery of things like roads and trains that would otherwise have to wait years and years to be built. And presumably those roads and trains are a path to greater wealth. The question is, is debt in proper relationship to income generation. Even with that level of borrowing, Fitch has determined it is within reason.2. I presume the Philippine central bank operates independent of the Executive Office. I'll have to explore that. The Fed in the US is independent of Executive and has a strong say on economic health. If that is also true in the Philippines, one cannot lay the nation's economic well-being soley on President Aquino. There is a partnership.3. The term "egime" struck me as suggesting that President Aquino is somewhat dictatorial in your thinking. So I looked up the definition of the term:re·gime [ruh-zheem, rey-, or, sometimes, -jeem] noun1. a mode or system of rule or government: "a dictatorial regime".2. a ruling or prevailing system.3. a government in power.4. the period during which a particular government or ruling system is in power.So it is not necessarily negative in its meaning, and I will assume your choice of words was not meant to criticize the President as being too autocratic. erratum "egime" = "regime". I need to trade this sticky keyboard in for a newer working model. Uncle Joe, I like the way you tell readers not to hold their breath just yet when pushed the good news of economic takeoff.Me, I'll start rejoicing when jobs are created and growth is truly sustainable. I think we're not short on high fives anyway. We always find a reason for a good high five or tens. We're resilient, right? Hey, kamote. Nice seeing you here.I think it's healthy not to stay too high. Focusing on the "bleak" isn't realistic din. Well, I'm a 50 percenter, not a sky is falling kinda guy nor a yellow monster. When a high five is warranted, it ought to be given. Indeed, you are right that much more depth is needed in the economy. But its also good to see that jobs are being created in tourism (add in casinos, a big bump) and real estate (Manila) and ag (coconut oils). Soon mining. And I'd argue to go after Japanese manufacturers now in China. The direction is right, the steam rolling. Oist, brianitus, a few hours of high fives is not so bad. An investment grade may not be manna from heaven, but it tells us something positive is happening. No time to be indolent, I know, but this is something positive.Hopefully, we can sustain this and that it trickles down to wherever it's supposed to trickle down. My best friend's family has been accumulating USDs the last 5 to 10 years. They were speculating that the peso would fall. Boy were they wrong! I'm glad they lost their bet against the Philippines. Yes, speculation is risky because the markets have a mind of their own. I believe in things like balance in the portfolio, and holding onto a long term view, buy and hold. My income is in dollars, so I'm squeezed from before, but it is good to see the Philippines emerging. I think there is money to be made HERE by investing ahead of what will be a growing middle class, and a lot of OFW's returning with money to spend, as they retire. thanks for this blog. i'm learning. You are most welcome, John. I'm glad it was instructional.